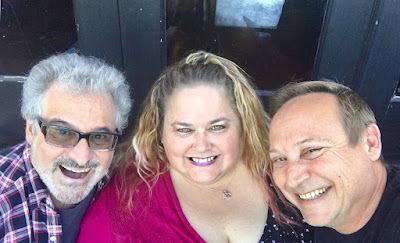 Speaking of Barry Pearl....it's always hard for me to classify when someone should be a Fandance post or a regular post. as the lines tend to blur quite a bit. Like, it's weird to post pictures of my friends in Fandance, but then when I don't, I feel like they should be. It's a strange place to be. Because of my adoration and love for Barry Pearl, I decided he really needed to be a Fandance. True, he's been featured here before, but any original cast member from Grease can make as many appearances as they'd like. Plus, Barry is the best!